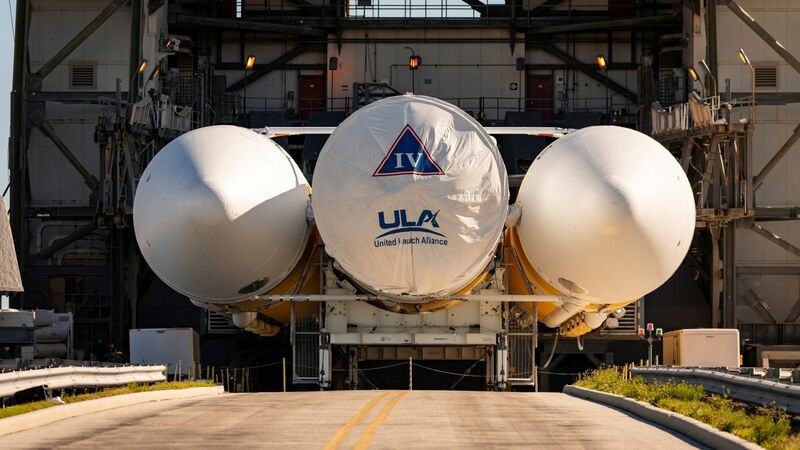 CAPE CANAVERAL, Fla. — Members of the International Association of Machinists and Aerospace Workers (IAM) union employed by United Launch Alliance (ULA) voted to strike after rejecting a contract offer presented by the launch service provider. ULA, which builds and launches Atlas V and Delta IV rockets, employs nearly 2,500 people. Of that, about 600 are members of the IAM and are located in three locations: Decatur, Alabama; Cape Canaveral and Kennedy Space Center, Florida; and Vandenberg Air Force Base, California. The IAM threatened to picket all three locations in the event of a strike, which started at 12:01 a.m. May 7, 2018. While the union had formally recommended that workers reject the contract, the final decision was up to the workers themselves. They voted May 6, 2018, the day after ULA launched an Atlas V with NASA’s InSight Mars lander bound for the Red Planet, to either accept or reject the proposed contract. Because members voted to reject the contract, a further vote was held to authorize a strike. DiMeco said the IAM hopes to not impact any launches, but demands ULA make travel a voluntary option, eliminate no-notice mandatory overtime, and promise not to replace union members with sub-contractors. According to a statement issued last week by Chief of Staff and Aerospace Negotiator Jody Bennett, ULA’s offer did not do enough to respect the workers who had made ULA, “the absolute safest company in the aerospace industry.” The IAM negotiating team expressed its willingness to meet with ULA further before the vote, but ULA made it clear its offer was final. ULA said it and the union have been negotiating “in good faith” since April 16, 2018. On its website, ULA said its contract offer was “above market and unlike anything offered by our competitors, providing our skilled workforce with increases in nearly every element of the contract.” The company has created a webpage to answer frequent worker questions and for potential strikers to calculate expected pay losses. Jessica Rye, a ULA spokesperson, told SpaceFlight Insider via an email that the company has implemented its “strike contingency plan” and is on track to support the its next launch, the Parker Solar Probe for NASA on July 31, 2018. What those contingency plans are specifically, however, was not explained. “Per our plan, we will complete final processing of that vehicle with trained and experienced employees following established procedures and quality standards,” Rye said. This story was updated at 7:30 p.m. EDT (23:30 GMT) May 8, 2018, to include information provided by IAM organizer Kevin DiMeco as well as ULA spokesperson Jessica Rye.